Reserved seating tickets are $25, $39, $59, and $79. Tracy Lawrence, the multi-platinum CMA and ACM award-winning artist and radio host of Honky Tonkin’ with Tracy Lawrence is one of the most recognizable voices in country music. With 13 million albums sold, 22 songs on the Billboard top 10 charts, and 8 number one singles, including “Alibis,” “Can’t Break It To My Heart,” “My Second Home,” “If the Good Die Young,” “Texas Tornado,” “Time Marches On” and “Find Out Who Your Friends Are,” he is one of the most played artists on radio. Opening for Lawrence will be Owensboro’s own Blackford Creek. Tickets: Reserved seating tickets are $25, $39, $59, and $79. 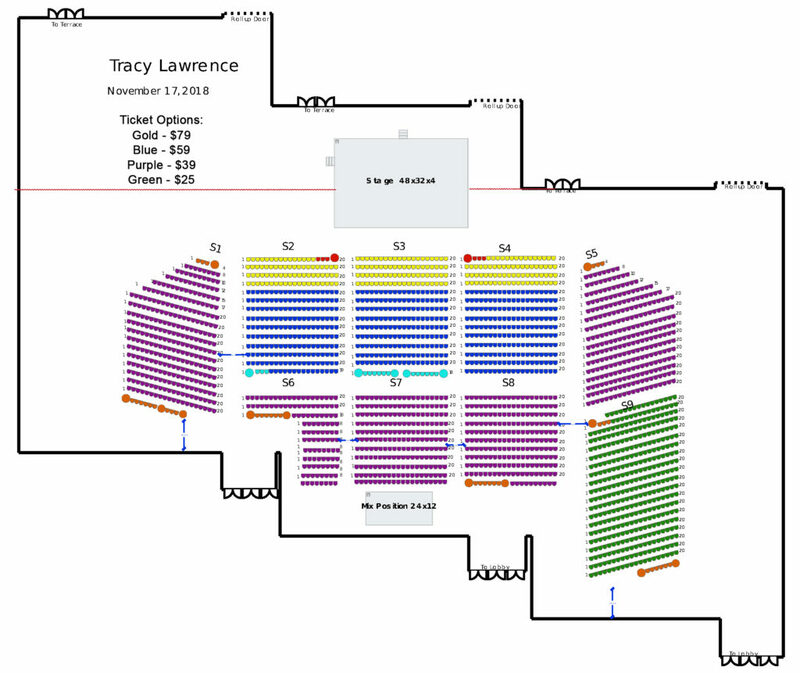 Please see seating map below. Tickets may be purchased online at OwensboroTickets.com, the Owensboro Convention Center Box Office, or charge by phone at 270-297-9932. Additional processing fees apply to all ticket sales.